Our Top-Selling Product on YogaDirect! 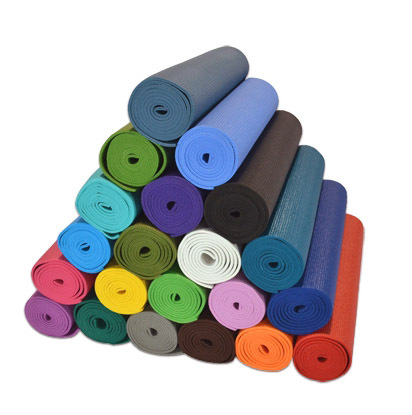 Extra Thick / Extra Wide: 72" x 24" x 1/4"
Our top selling yoga mat is great for all styles of yoga and is available in 26 color choices! Treat your students (and yourself!) 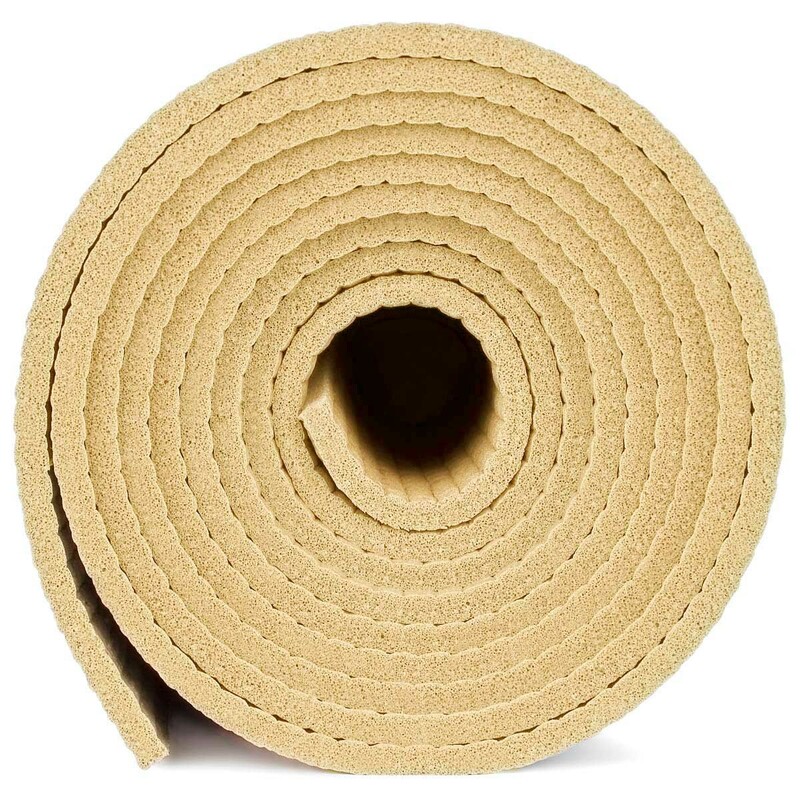 to an extra thick deluxe yoga mat. This lightweight yoga mat is made from extra thick and durable PVC foam and is completely latex-free. Yoga teachers, customize this yoga mat with custom printing to showcase your studio logo on every yoga mat! 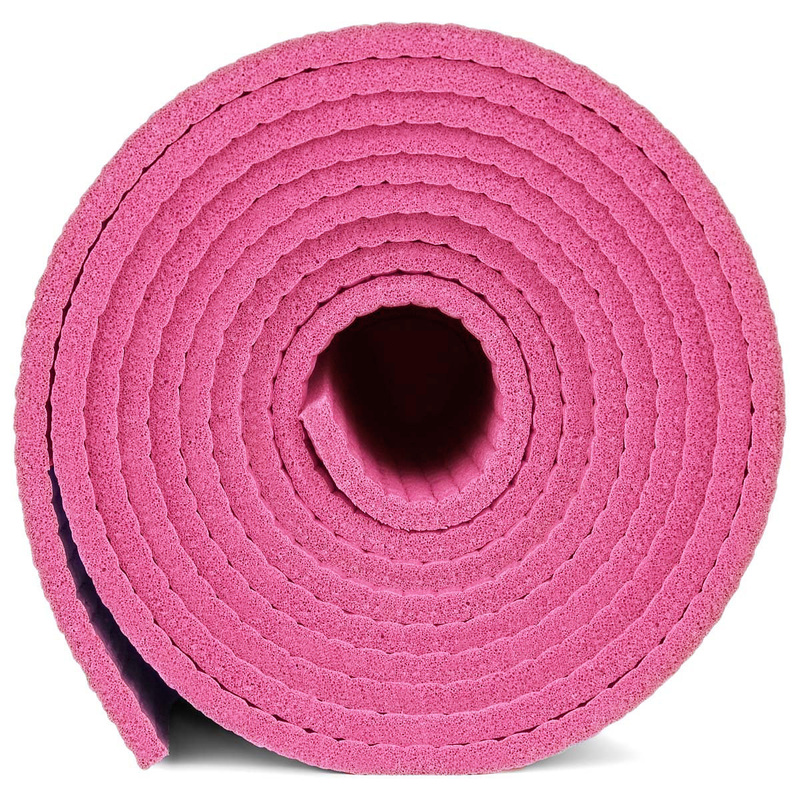 Our best-selling yoga mat, the 1/4" extra thick yoga mat provides extra cushioning between the Yogi and the floor. 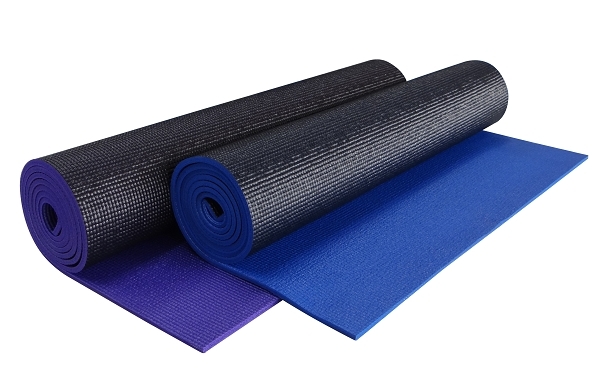 A great choice for Restorative classes, and popular among Yogis who prefer extra cushioning to protect their joints in certain postures, these mats are made of extra thick, durable foam, and have textured, non-slip surfaces on both sides of the mat. These mats arrive individually wrapped, and can also be custom printed with your own company or studio logo or design. We order a few of these may, got them in the Black/blue reversible, love the colors. Wish they were a little more sticky, but love that they are long! Prefect size! Great quality mat. Very fair quality for the $. Great mats for the price! These mats are good quality and the color is true to the picture. They arrived in clean, perfect condition and do not have any type of rubber smell. There was a problem with the delivery (delivered to wrong address). Yoga Direct was quick to address my concern. They replaced the mats at no charge! When the originals surfaced before the replacements, they simply said refuse the package. I am extremely pleased. So far I have been very pleased with the quality and durability of these mats. I recommend these to my clients also. 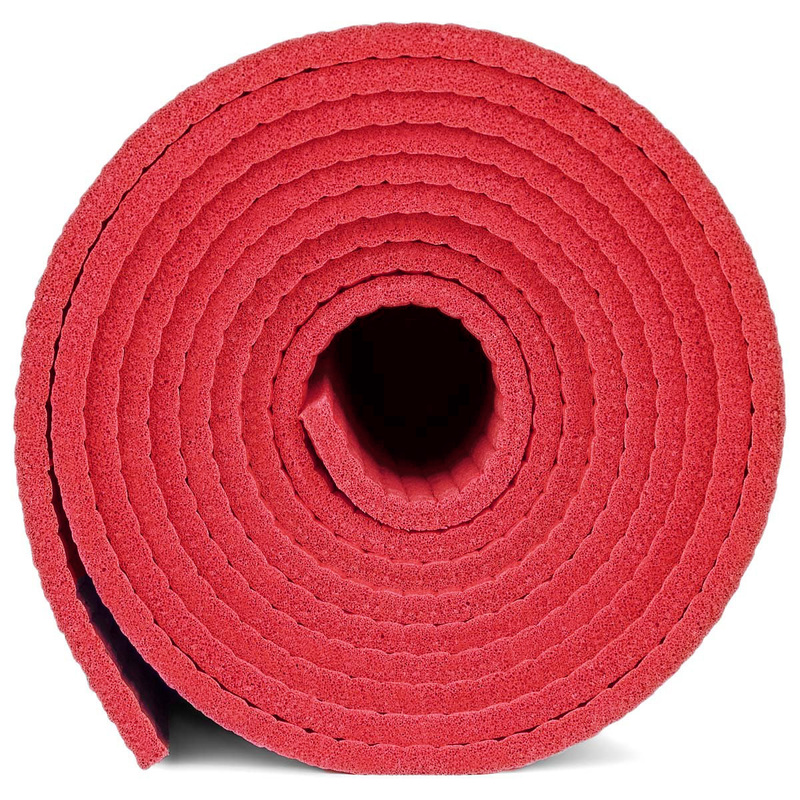 Just bought these mats for our studio. The members really like them so far, will need some time to see how they hold up to the use though. perfect for my use. Delivery fast, product as described and appears durable.